Leather Lorica Segmentata - 7/8 oz. 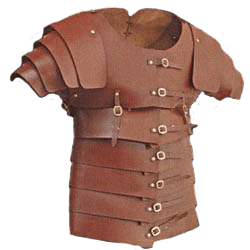 Our leather Lorica Segmenta gives you the chance to own Roman armor without the weight, and at a great price. Our Lorica Segmentata is made from medium weight 7/8 oz. (LARP Grade) leather and is available in black or brown. It is adjustable with buckles down the front and also laces up the entire back. 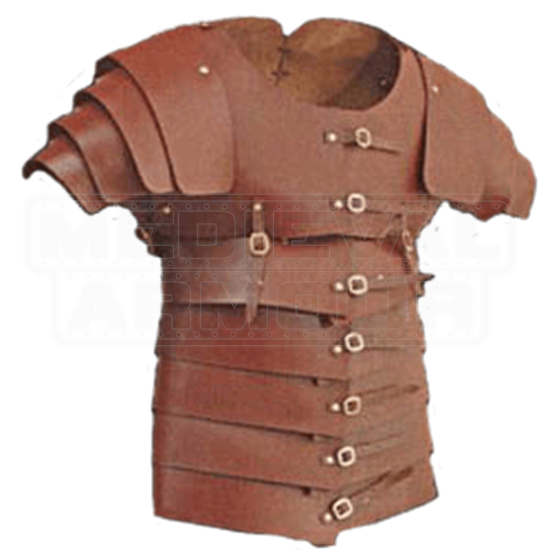 Please understand with this style of armour, the waist measurement will be the same as the chest measurement. We make this armour in three different size ranges. If you will be wearing a gambeson, chainmail, or anything else under this armour, it is best to take your measurement while wearing the items. Aside from the fact that it was slightly larger than expected. It was EXACTLY what I was looking for!! !